We are very happy to have Pam walking in Southern Marin covering Mill Valley, Tiburon, Corte Madera and Sausalito. 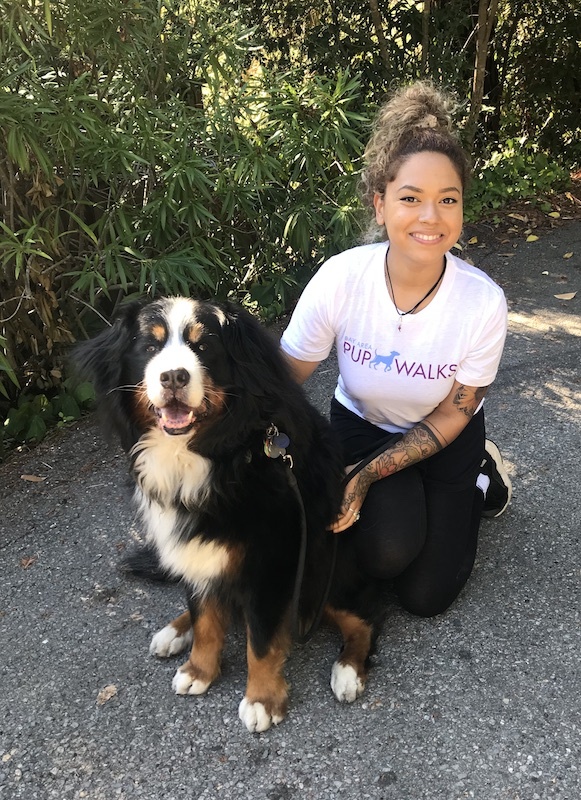 Like all of us Pam loves dogs and before joining Pupwalks, was part of a team doing doggy day care including playing, grooming and walking dogs. We think that Pam is our first walker to have been in the US military. She spent two years in Guam in the medical team, treating soldiers. You can see her here with Lucy the Bernese Mountain Dog.